10 days from £1615pp plus international flights. 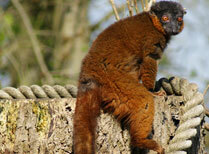 Madagascar is a vast country with so much to see and do that it's almost overwhelming. We feel this holiday is the perfect introduction. It takes in towns, villages, national parks and the coast, and showcases the varied flora and fauna and diverse cultures. All in 10 days, yet with time to relax along the way. Your adventure begins with a tour of the old city of Antananarivo (Tana for short), taking in historic houses, palaces and churches before you had out of the city. 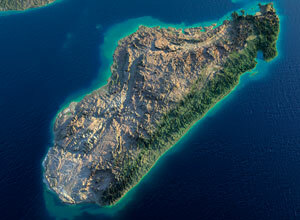 From here you'll be bowled over by the sheer scale of this island. The high central plateau is lush and fertile, with photogenic terraced rice fields. 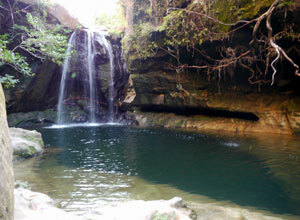 Further south you'll enter rainforest, tree-covered hills and cascading waterfalls. 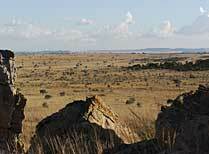 You'll have guided walks in Ranomafana, Isalo and Zombitse national parks, all rich in flora and fauna. You'll see more species of lemurs than you knew existed, become an expert at spotting chameleons, learn to tell your geckos apart and enjoy watching all manner of reptiles. Not to mention the birds. Then you have time to relax at a lovely lodge by the beach, where you can rest and reminisce over all that you've seen and done on the past week. You'll have your own driver and a modern, air conditioned vehicle, which means you can take journeys at your own pace, choosing when and where you to stop en-route. Distances are large: there's no getting away from the fact that Madagascar is BIG! But along the way you can watch skilled craftsmen at work, observe daily life and stroll around villages. 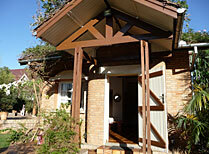 Hotels and lodges provide comfortable, good quality accommodation and warm hospitality. 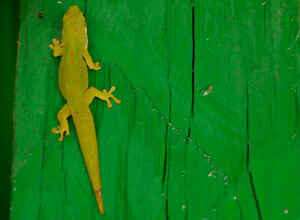 Stunning scenery, unique wildlife and friendly people - this really is the essence of Madagascar. 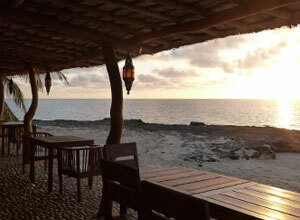 It is possible use alternative hotels and lodges to lower the price of this holiday if you wish. Please contact us for details. You arrive at the international airport in Antananarivo where you are met and transferred to your first night hotel, Maison Gallieni. 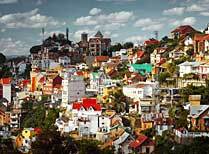 The hotel is on hill overlooking the city, Relax after your flight, enjoy a swim in the pool or relax with a massage. 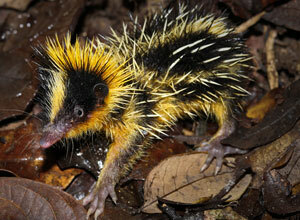 This is the start of your Madagascan adventure! Accommodation on a twin-share basis; breakfast from day 2 to day 11; transport in a private air conditioned 4x4 vehicle with driver; local guides in national parks and reserves; entry fees for parks mentioned in the itinerary. International flights and taxes; visas; travel insurance; meals not specified; drinks; tips; laundry; optional excursions; items of a personal nature. 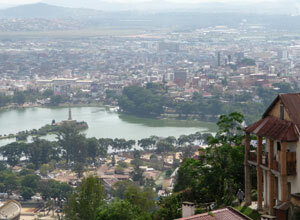 This holiday starts and ends in Antananarivo (Tana). Return flights from the UK cost from around £800 per person, depending on season and availability. We are happy to book flights for you. Departure dates: This is a tailor made holiday that runs from March to December. It can begin on the day of your choice, subject to availability. Tana is the busy capital and site of the international airport. 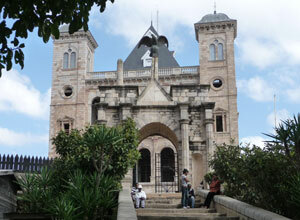 There are some fine churches, cobbled streets and busy markets to be explored. The impressive canyons, strange rock formations, dramatic gorges, waterfalls and wildlife including lemurs attract visitors year round, making this one of the most popular parks in Madagascar. This superb area of indigenous forest is where the critically endangered golden bamboo lemur was discovered in 1986. 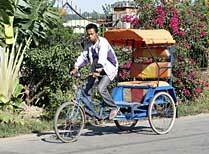 Madagascar’s central area is a region of hills, mountains, rivers, valleys, and ”¦ rice paddies. 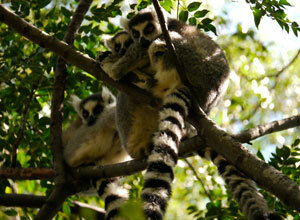 Get an insight into Madagascan life and also enjoy some small parks. 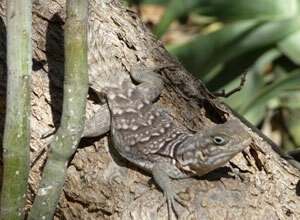 Ifaty is a resort on the southwest coast just north of the town of Tulear. 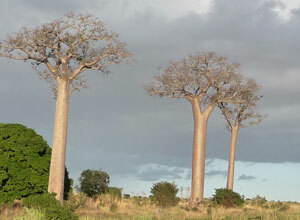 Come to this area to see spiny forest (with baobabs) and migrating whales, and for time on the beach. 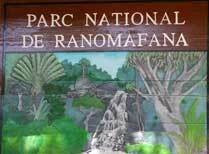 A former health spa set in verdant grounds, a good base for visiting Ranomafana National Park. 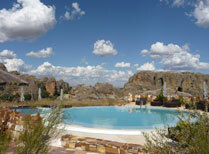 A stylish, modern hotel with stunning views over the surrounding rocky landscape. 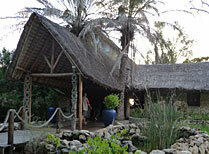 A stylish beach lodge in Ifaty in south west Madagascar. 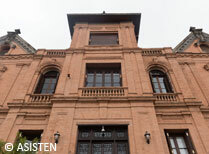 An elegant 19th building overlooking Tana, with 4 guest rooms, attractive finishings, a garden and a pool. 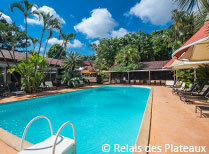 Just a few minutes drive from the airport in Tana, this modern hotel is ideal before or after a flight.